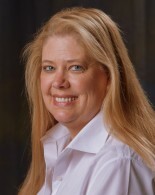 Malissa Dillman, CTS-D, CTS-I, CQT is Kramer Electronic USA’s Director of Education & Training, and was the recipient of the 2012 InfoComm Women in AV Award, and was also named the 2013 InfoComm Educator of the Year. Dillman has over fourteen years of extensive A/V experience within the industry and brings her diversified skills and experiences to the classroom. Her entertaining and no nonsense approach to technology has been appreciated by nearly a 1,000 students in the past three years. We will be discussing HD Connectivity from a practical standpoint. We will examine what future versions of HDMI and HDCP have to offer and what their drawbacks may be in your future systems. We will provide you with the tools to analyze all of the 4K hype so that you will be able to make informed decisions as well as a brief look at the challenges and opportunities that HDBaseT may provide.